The White House last week canceled a planned trip to Pyongyang by Secretary of State Mike Pompeo, just hours before the top U.S. diplomat was due to leave, after receiving a belligerent secret letter from North Korea’s No. 2 that put the possibility of a successful visit in doubt, a report said Monday. The Washington Post quoted two unnamed senior U.S. officials as saying that the letter sent by Kim Yong Chol to Pompeo was received Friday. Kim Yong Chol, vice chairman of North Korea’s ruling Workers’ Party Central Committee, led previous rounds of talks with Pompeo. The report said that while the exact contents of the message were unclear, it was “sufficiently belligerent” that U.S. President Donald Trump and Pompeo decided to call off what would have been the diplomat’s fourth visit to Pyongyang. The planned trip — at which Pompeo had intended to introduce a newly named special envoy, Stephen Biegun, to his North Korean counterparts — had been announced the previous day and had been scheduled for sometime this week. The State Department did not respond to an email requesting comment by press time. Trump has privately exchanged a series of letters with Kim, including the most recent, which reportedly urged more progress on denuclearization while warning against further backsliding. 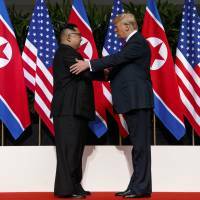 North Korea, which has rejected unilaterally relinquishing its nuclear arsenal, has recently accused Washington of “double-dealing” in the negotiations. On Sunday, state-run media accused the U.S. of conducting “extremely provocative and dangerous” secret military drills aimed at the North Korean leadership, which it said threatened “to mar the hard-won atmosphere of the peace on the Korean peninsula.” Such moves, state media warned, could “prevent the implementation” of the joint statement signed by Trump and Kim in Singapore. Although Trump is unlikely to totally abandon a diplomatic route, the Post report said an abrupt end to the talks could see him side with hard-line officials, such as national security adviser John Bolton, who want to apply more pressure to the Kim regime through increased sanctions or other means, including military action. The Post report also shed light on Pompeo’s proposed mission, appearing to confirm speculation that it was meant to negotiate a step-for-step deal that would see the U.S. issue a declaration of the Korean War’s end in exchange for the Kim regime issuing a declaration of its nuclear and missile programs and assets. While opponents say a declaration to end the war could be seen by Pyongyang as a sign of weakness and could negatively impact U.S.-South Korean military preparedness, proponents have argued that the declaration is only a political step, far short of a formal peace treaty, which would come much later in the process. However, Duyeon Kim, a Seoul-based adjunct senior fellow with the Center for a New American Security, said that there is a way to write such a declaration so that it’s entirely symbolic that doesn’t change the armistice at all or have legal implications. “But the bigger challenge will be managing perceptions, different interpretations, and political implications even with a symbolic declaration,” Kim said. Meanwhile, concerns are reportedly growing inside the Trump administration that the South Korean government led by President Moon Jae-in is increasingly willing to go it alone, further deepening its detente with Pyongyang — regardless of whether Washington approves. Moon has touted plans for boosted economic ties and is planning a visit to Pyongyang to meet Kim next month. On Tuesday, the South’s presidential Blue House stressed that the need for another Kim-Moon summit, the pair’s third, has become greater, adding the inter-Korean summit will likely be held as scheduled. “The need for a South-North Korean summit has rather become greater because of the standoff between the United States and North Korea,” Blue House spokesman Kim Eui-kyeom was quoted as saying by South Korea’s Yonhap news agency. “We expect the South-North summit to play a role in paving the way and further expanding the path,” he added. A separate report by Stanford University’s Daniel Sneider, published online Monday by Toyo Keizai magazine, also quoted a senior U.S. official involved in the talks as echoing concerns that Seoul could seek to go its own way on North Korea, independent of Washington. 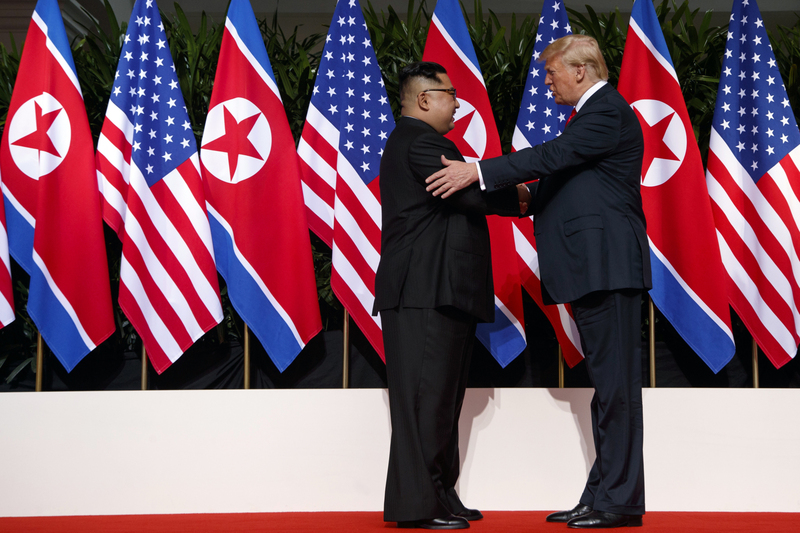 The Center for a New American Security’s Kim said that the road ahead for negotiations appeared even more tenuous now, with the November midterm elections in the U.S. looming, time pressures for Moon to achieve his peace agenda, and growing differences within the U.S.-South Korea alliance on a variety of issues. But, she said, it remains unclear when Moon’s patience will run out amid a prolonged stalemate that leaves sanctions in place when he needs them lifted to achieve his inter-Korean and regional economic agenda.